We made beekeeping accessible for all by creating the first in the world, reinventing the beehive for people in wheelchairs. We bring inclusivity and accessibility to the world of beekeeping. SARAJEVO, BOSNIA AND HERZEGOVINA — This year’s competition looked specifically for ideas that would promote ‘New Ways to Grow’ across European society and aims to enable new kinds of economic growth to create systemic change through positively impact on the society. There are aprox. 67 milions of people with disabilities in the world, each facing a challenge in employment, training and education. People in wheelchairs lack accessibility and inclusivity to many aspects of their respected communities. Bees, creatures of great importance for this planets biodiversity and 207$ bilion crops industry, are in trouble and in decline. APIFORM made a solution for these problems, they reinvented the beehive, made beekeeping accessible for all, by making beehive that meets the EU regulations for organic beekeeping and can be worked with while sitting. 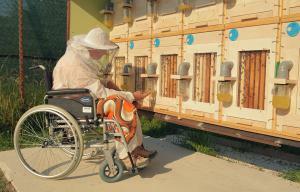 They tackle a problem of self-employment, inclusivity of people with disability and reducing bee decline in the world. they are teaching our community how to start and succeed in organic beekeeping world, while overcoming the barriers of disabilities. This project is a worldwide iniative, with strong roots in Europe, helping community one hive at the time. 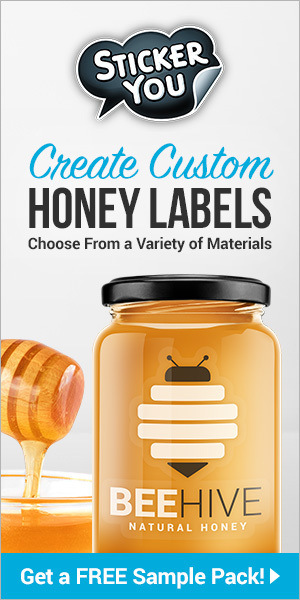 APIFORM is making an eLearning platform, where they’ll give FREE DIY project of the beehive that can be made from various wood-including recycled wood, and provide video courses of the technology and theory of sit-in beekeeping. Goal is to create a helping community of beekeepers, with strong focus on self-employment and sustainability. They are also make a seminar room within their apiary, for offline courses, face-to-face sessions and courses with live bees. Beekeeping is a great way for expanding family budget, it is fairly cheap to start, the investment is returned at the end of year one in honey and can be doubled over two years by swarming and dividing bee colonies. APIFORM wants to teach our community that working with bees is not just a hobby, it can also be a very profitable house business, especially for people with disabilities and people in wheelchairs. This project is not about compassion or pity, it is all about equality and accessibility. APIFORM BEEKEEPING has the potential to bring value to individuals, communities, countries and entire regions, and the idea behind its mission reflects an issue at the heart of many Europeans’ lives. APIFORM BEEKEEPING attended a mentoring academy in Vienna in September where they worked with experts in social innovation to refine their ideas and develop their business plan before pitching to the jury. The jury is made up of successful social innovators from around Europe, who critically evaluate the strength of each organisation’s business plan and have selected the 10 strongest entries. The European Social Innovation Competition, launched in memory of Diogo Vasconcelos, is a challenge prize run by the European Commission across all European countries, now in its third year. The 2015 competition is themed around ‘New Ways to Grow’, and seeks to use social innovation to pave the way for more sustainable and inclusive growth in Europe. The competition is organised by the European Commission, supported by Nesta, Kennisland, Shipyard, Impact Hub and Matter&Co.